Grainger helps businesses do more with less and manage through challenging economic times. This recognition reflects the important role we play helping Canadians stay safe on the job and keeping their facilities running efficiently. For the second year in a row, Grainger (NYSE: GWW) has been named the “most admired” company among diversified wholesalers in FORTUNE magazine’s annual listing of the World’s Most Admired Companies. Every year, FORTUNE and Hay Group, a global management consulting firm, survey top executives, directors and financial analysts to identify companies that enjoy the strongest reputations within and across industries. Grainger, the leading broad line supplier of maintenance, repair and operating (MRO) products, serves more than two million businesses and institutions in 153 countries. Hay Group has collaborated with FORTUNE annually since 1997 to identify, select and rank the World’s Most Admired Companies and uncover the business practices that make these companies highly regarded by their peers. To compile the rankings, corporate reputation and performance are measured against nine key attributes: innovation, people management, use of corporate assets, social responsibility, quality of management, financial soundness, long-term investment, quality of products and services, and global competitiveness. In the 2011 World’s Most Admired Companies survey, participants ranked Grainger number one in the Diversified Wholesalers industry, giving the company the highest marks in all nine reputational criteria. In addition, Grainger ranked in the top ten in several All-Star Global Categories: Management Quality, Use of Assets, Financial Soundness, and Quality of Products/Services. The global recession has deepened the focus businesses have on productivity issues and has forced them to find ways to do more with less. Grainger helps businesses become more efficient at reducing their operational expenses, creating safe and healthy work environments, maximizing sustainability and energy resources as well as preventing disruptions to their operations. The full World’s Most Admired Companies list can be found on the FORTUNE web site. For more information on how the rankings are determine please view the full methodology on the Hay Group’s website. 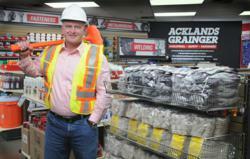 For more information about Grainger visit http://www.grainger.com/news or Acklands-Grainger visit http://www.acklandsgrainger.com/info. 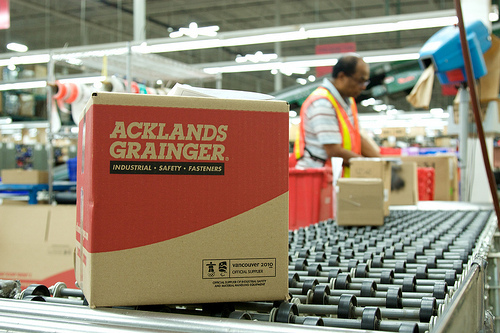 Founded in 1889, Acklands-Grainger is Canada’s largest distributor of industrial, safety, and fastener products, with over 120,000 in-stock products available from 175 branches and six distribution centres coast to coast. Its parent company, W.W. Grainger, Inc. with 2010 sales of $7.2 billion is North America’s leading broad line supplier of maintenance, repair and operating products with an expanding presence in Asia and Latin America.